In open pluralistic societies, intermarriages tend to become the rule, not the exception as growing majorities intermarry with the result that many religions are at a critical juncture in deciding how best to address a challenge which is at the heart of so many families and so critical to the religious community’s well being and growth. Among Greek Americans, the intermarriage rate is between 75 and 85%; with a projected attrition of communicants of greater than 60% over the next generation. Changes have occurred in the cultural make up of Greek Americans since young men first arrived in America in the late 19th century to escape the chaos of their homelands and seek their fortunes. Over the next 100 years they came, limited only by quotas and war. Among them were the dispossessed, joining millions of immigrants from Europe looking for a new start. Those who came liked what they found and the vast majority remained to build a new life. They continued to come through most of the 20th century. By the second generation, an estimated 85% of Greek Americans were culturally and religiously intermarrying and melding with others in the American melting pot. The family must be encouraged to facilitate their worshiping as one family. 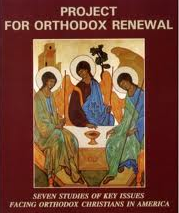 Christianity left the confines of Judaism with a nudge from St Paul taking a giant step towards universal Christianity. In an act that can strengthen our Church and assure its future, the link must be created that transcends the stumbling blocks that have distanced growing numbers of families. Since 1922, with continuing immigration and with families spreading across America, over 300 churches were added; yet, as the Greek American population has grown into the millions, the number of religiously observant communicants has dropped significantly. Although the Greek American population has grown extensively through immigrations and post war baby boomer periods, there are fewer active Greek Orthodox today, than in 1922: a period during which the overall American population has tripled. The Catholic Church’s early missionary expansion in the Western Hemisphere has evolved into large Catholic populations and Catholicism remains a predominant religion in the Americas. Smithsonian experts project that by 2050, the Hispanic population can be expected to double, from 14% to 29%, and from 42 million to 119 million as the over- all population continues to grow. Thus, even as the pre-existing core Catholic population is decreasing, Hispanic population growth can be expected to add millions of Catholic families in the coming decades with continuing growth in America. 1 America has no national church and no council of elders that can adjudicate the perplexing moral questions that face us. The founding fathers in refusing to establish a central authority of moral judgment ensured that the problems of the people must be addressed by the culture itself, a precept drawn from the notion that the power of the state draws not only from the consent of the people, but from a government of the people grounded in Christian moral tradition. Mr Kehayes has served his beloved Greek Orthodox Church continuously for over seventy years first as an altar boy, then as a choir member and choir director, psalti, youth advisor, Sunday school teacher and director, parish council member and most recently, as founding President of St Anna’s Greek Orthodox Church of Flemington, N.J. In his professional life he has been a research scientist and technical director of a major corporation for over 40 years and subsequently as a consultant to the steel industry and as a resource to the USEPA and Department of Labor/OSHA. He and his wife Helen have been married for over 60 years; they have four children and nine grandchildren. Previous ArticlePhilanthropy is a Greek Word after All, Isn’t it? wasted monies on greek school programs,costumes,etc,etc.75%of free time for our children was wasted on non essential “things” that parents made their children do .parents should have had the foresight to see the”forest instead of the individual trees”.no excuses ,please ,by no one. Greek priests stupidly refuse to conduct all-English liturgies, even with 2 priests on staff of one church, the effect of which is to drive interfaith marriages away from Orthodoxy. 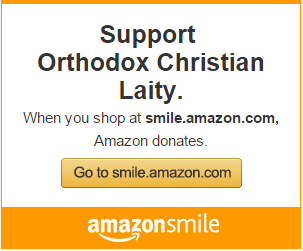 waste time and money on Greek language, Greek cooking, Greek dancing,Greek singing and absolutely NO EFFORT, TIME, OR MONEY on intrafaith American Orthodoxy.